The only month people think about losing weight more than November is January. 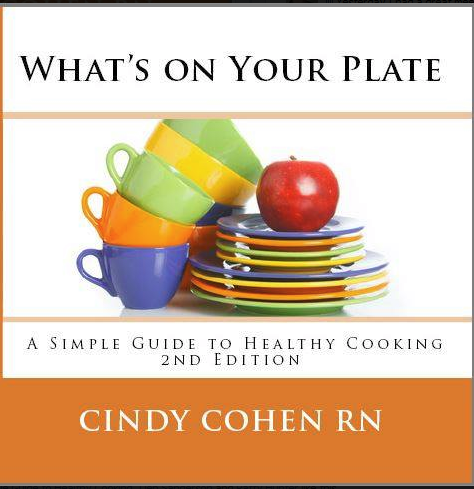 The holiday season is in right in front of you along with fats, carbs, sugars, processed foods and who knows what? Do you really care? Right this minute yes, but when you are gazing down at Grandma's favorite Thanksgiving holiday dressing maybe not. After all just one bite won't really count will it? Well maybe not but what about all the rest of the month? Thanksgiving dinner launches more than 30 days of pies, cakes, cookies lined up in almost every nook and cranny of every place you go until January finally rolls around. It's not easy. If you are smart you will open your computer, get out your tablet or favorite phone app and start strategizing how you are going to make it through the holidays without totally wrecking your mental and physical health. You'll be so glad you did. Where to start? How about your kitchen cupboard? Clean out the unhealthy foods, and don't add them back until January or maybe never. Who needs them? Not you and not your family. You already know that you don't need me to tell you. Stocking your kitchen cupboard with healthy, easy to make foods is a great way to guard against making unhealthy foods decisions and minimizing the damage from all those party foods. Having a little trouble with deciding what healthy meals and snacks might look like? Not quite sure what belongs on your kitchen shelves and what deserves to be banished? Your right it's confusing. The healthy food messages we get from TV, radio, the internet are often conflicting adding even more confusion. Well merchandised junk food lines the shelves of your local food market touting claims of heart healthy, gluten free, all natural, no additives of which most of the time are false and or misleading food claims. So what do you do? You go with all the ready-to-go treats or your favorite takeout keeping the decision making to a minimum. Sure it's easy to stop on the way home and seems convenient too but most of the time not healthy and comes with an easy and convenient way to pack on the weight. Decide now this is not a solution. When your kitchen cupboard is well stocked with healthy foods it's just as easy to prepare delicious easy meals and snacks in your own kitchen. The good news is you know what's in your food this alone makes your food choices healthier than anything you buy outside your home. It's not as time consuming as you may think to whip up healthy eats the key is a properly stocked pantry. Here is some help. A well-stocked pantry is essential to making a good home cooked meal, especially when time is scarce. Dried pasta, pre-cooked beans, and canned tuna can are all great things to have on hand when making a last-minute meal. But, not all pantry items are created equal; some can actually help you eat healthy, even when you’re making a meal in a pinch. Click this link to read the article The Daily Meal. If it's snacks you are looking for to keep those extra pounds from stacking on check out Nutz 4 Nutrition Blog 39 Healthy Snacks You Can Take When You Are on The Go. Having healthy snacks on hand along cuts down on mindless eating and poor food choices. As we roll into Thanksgiving holiday keep in mind our old friend Ben Franklin who said if you fail to plan, you are planning to fail. When it comes to your health not planning to make healthy choices will cost you a healthy weight and maybe more than you want to pay. OK here's a little about me. I have 40 years’ experience from the bedside to CEO of a hospital. I am recognized as an accomplished author, wellness expert, sought after national speaker and corporate wellness leader. As a nurse, workplace wellness consultant, certified health and weight loss coach, I am is the guiding force behind the C2 Your Health LLC team and an award-winning Juice Plus+ Company franchise helping others find their way to improved personal and business wellness. In 2016 I received the national honor of WELCOA Top 50 Health Promotion Professionals & in 2017 Sassy Magazine Top 10 Women to Watch. Are You Making These 4 Diet Mistakes? Keto Diet - No thanks! What's Happening Inside Your Supplements?